High quality graphite in a solid stick. Perfect for working on large areas but still good for detail. 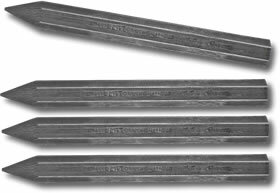 Sticks of solid graphite. Ideal for covering large areas but the point allows for more detailed work.